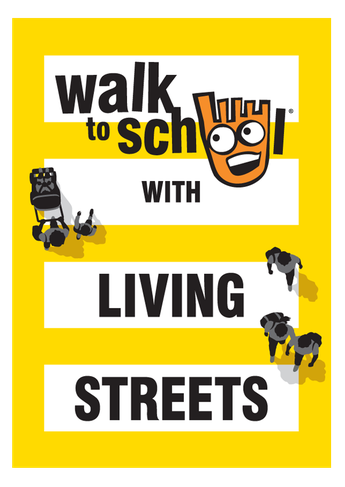 Dear Parents and friends, Goxhill Primary school has been approached by the Living Streets charity, For every day walking, to take part in an exciting project which is run in association with North Lincolnshire Council and funded by the Department for Transport. This new “walk to school incentive” is aimed to encourage children and their families to walk to school at least twice a week. The main element of the project is participation in WOW – a year-round walk to school challenge, which rewards children who walk to school at least twice a week with a monthly badge. There are 11 badges to collect across the year and daily journeys are logged by pupils on our interactive Travel Tracker accessed through the school’s computer or whiteboard. · 30% - fewer cars at the school gates. Here at Goxhill we welcome this opportunity to help our pupils feel happier and healthier and reduce pollution and congestion at the school gates. Some of you live out of Goxhill and we realise that if you live in the surrounding villages it is not possible for you to walk/bike/scooter to school, (all of these forms of transport count) therefore as a suggestion, we suggest that maybe if parents parked a little further than the school carpark or just outside the school, and walked/biked/scootered the rest of the way then this would be acceptable to be logged as walking. Similarly, we realise that a few of our children travel to school on the bus or by taxi and that it is not possible for them to be dropped off anywhere other than at the gates. We do not want these children to miss out on collecting their badges or indeed, feeling happier and healthier. Therefore, at 8.45 when the gates to the school are opened we would love these children to have an opportunity to walk and suggest that they complete 2 laps around the playground as their contribution to walking to school. We hope that as parents and carers you can join us in making walking the natural choice and part of every child’s daily routine.